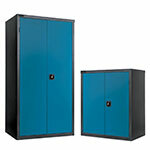 Safe storage for sheet steel, plywood, plastics, etc. 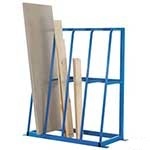 The vertical sheet rack is an ideal solution to storing large and unwieldy objects that might otherwise take up valuable floor or storage space. The unit comprises of six individual compartments for housing items such as plywood, plastics, sheet steel and a wide range of other supplies. 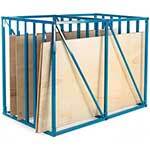 The sheet rack is designed to hold up to 2.5m x 1.5m sheets for maximum storage. 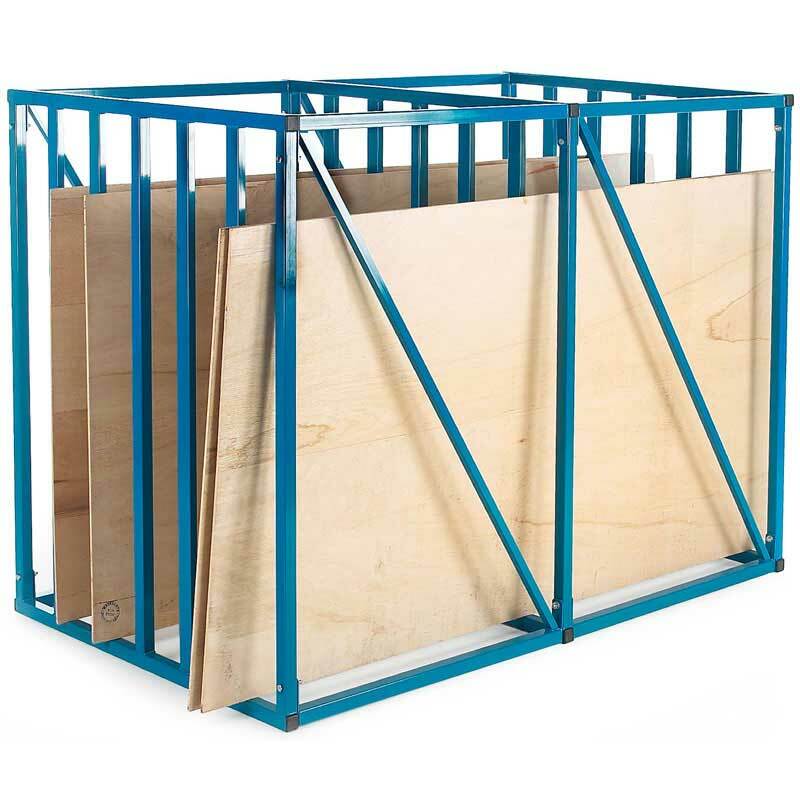 It also pairs well with other racking storage units, such as the long-span racking, vertical racking and pallet racking, to create a comprehensive racking system that will make any storage space efficient and orderly. 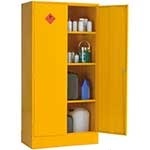 Also available are racking accessories, such as collision protection bars, to avoid accidents. 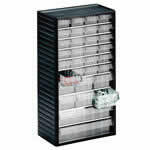 The 10kg vertical sheet rack is made of welded steel construction for the ultimate in strength and durability. It may be dismantled when not in use to save space. 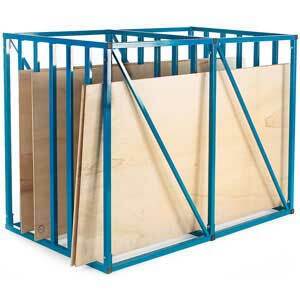 It is also supplied in individual welded sections, which are easily bolted together on delivery. There are several racks available, including a three compartment sheet rack, vertical storage racks 4 - 8 compartments, staggered height vertical storage racks with 4 compartments, and vertical storage racks with 4-10 compartments. These storage racks can be easily mixed and matched for ease of use and can be added to as the need for more storage presents itself.